For the last 6 months, give or take, I've noticed a trend over at Amazon, a trend that cuts across genres. Multi-author collections of novels are selling really well, often at cheap, cheap prices. For instance, Epic: Fourteen Books of Fantasy has been selling at 99 cents for quite a while now and it has consistently been ranking well at Amazon, appearing tops on several sales charts. At first I thought I would like to take part in something similar. My plan was to work together with some other fantasy authors, each of us to go in with a novel, then to see how things go. But then I started thinking of all the headaches this would involve, the accounting problems, the trust issues, etc. And being the greedy huckster that I am, I thought, "Why not do it all myself, avoid the headaches, and keep all the money?" So that's what I did, in mid-December. 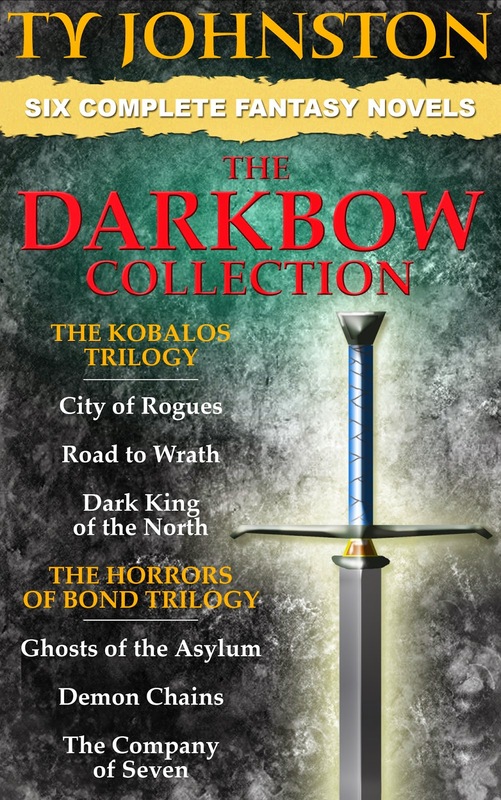 I collected all the novels from my Kobalos Trilogy and my Horrors of Bond Trilogy, then combined them into The Darkbow Collection: Six Epic Fantasy Novels. Each of these novels features my Kron Darkbow character, so it made sense. What might not seem to make sense is me selling six full novels for only 99 cents. It might even sound a little on the insane side. But experimentation is key to success, and if things hadn't worked out well after a few weeks, I would have pulled the plug. However, I've been pleasantly surprised by my sales. In January alone I have sold more than 2,600 copies of The Darkbow Collection, and there's still one day left in the month as I write this. Still, that's not a whole lot of money for six novels, and wouldn't it cut into my regular sales? In fact, my UK sales are nearly double what they were the month before, and I've actually sold books in several countries where I've never sold before. My U.S. sales are about average compared to the last few months. As might be expected, my returns are higher than usual, but they are still well below 1 percent. I can live with that. Also, I haven't really done any marketing. I think I mentioned the collection once on Twitter, and I've intentionally not mentioned it elsewhere. Admittedly, all of this might have been a fluke. In fact, two things outside of my hands probably had an effect upon my January sales. First off, near the end of December some gifts I sent to Skallagrim were featured on his YouTube channel (which is worth checking out if you are into historical fencing, combat, etc.). Second, on December 31 my Spaghetti Western screenplay Day of the Dollar got a shout out as among the favorite books of 2014 for Charles Gramlich, and that screenplay has sold better than usual this past month. Either way, to my way of thinking, this experiment has paid off. How long will I keep the collection at 99 cents? I'm not sure. The sales are slowing a little after having averaged more than 100 a day the first couple weeks of January, but I'll ride things out at least a couple weeks in February just to see how things go. Eventually I might raise the price to $2.99, or maybe even higher. It all depends upon how I think things are going. Am I crazy? I don't think so. I made a little more money than usual, sold a bunch of cheap books, and hopefully have reached some new readers. And that's what it's really all about, the readers. 1.) No, The Darkbow Collection was not part of the Kindle Select program. 2.) Yes, The Darkbow Collection was for sale at other venues besides Amazon (Nook, Smashwords, Apple, etc. ), but no, the sales price there did not seem to help any at all. In fact, my sales at the other sites have gone down quite a bit of late. Notes: I've a stack of 87th Precinct novels, and they're not going to read themselves. From reading the back copy, this looks as if it's going to be one of those 87th novels in which the detectives are hit with many unrelated crimes at once. I've read at least a couple of other 87th books along those lines, and they always bring various resolutions to the different crimes and criminals. As always, looking forward to it. Mini review: This one wasn't quite as convoluted as I had expected it to be, though there were still three or four crimes needing solved. There was a mystery involving a strangled nun who had once been a rock musician, a burglar who left behind plates of cookies for his victims, a killer out to slay a cop before the cop found him, and plenty of other odds and ends. As sometimes happens, this one ended on quite the personal note, especially for Detective Steve Carella. As an added surprise, Matthew Hope, McBain's lawyer character from another series, made a cameo appearance. I love these books. Notes: I interviewed this author on my blog a few years ago, and I read a short by him, but since then I've been meaning to read a longer work. In this, the first of his Justin Hall novels, the Canadian secret agent tackles some foreign weapons cached away in the Arctic. Mini review: After a booming start, I felt this one slowed down for quite a long while, but then it kicked in with a massive, action-filled wind down that leaves the reader feeling pretty satisfied. Some of the plot seems fairly unbelievable, but that's not all that uncommon for thriller novels, and at least there were justifications made. I might have to check out this writer again. Notes: This non-fiction book is about a New York who fought corruption in the 1960s and early '70s. This book and I have a long history going back about 35 years, though I've never read it until now. When my mom and step-dad divorced when I was a kid, this was one of the books he left behind, which naturally fell to me because I was the reader in the family. I held onto that paperback through high school and into my college days, but then I lost it when I first moved away from home. Soon after I found another copy in a used book store, bought it, took it home, and never read it. About four years ago, during another move, I lost the book yet again. Then recently I once more found another of these old paperbacks at a used book store. I decided it was time to read it before I lose it again. Mini review: This is a pretty good book. It's written in a style I kind of think of as '70s magazine style, quite breezy for the time but somewhat thick by today's standards. Yes, Frank Serpico fought corruption, and for it he took a bullet to the face. Yes, he survived, and as of a magazine interview I read with him a few years ago, he is still alive. 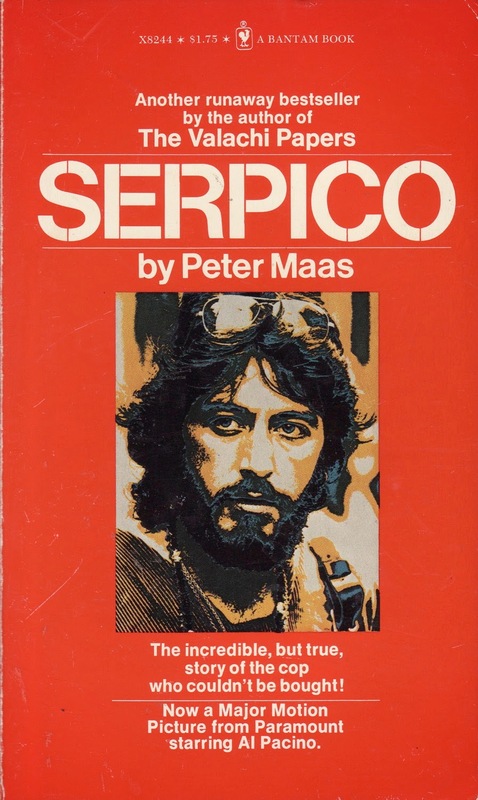 The events of this book end more than 40 years ago, and Serpico has said (in the interview I read) that he plans on writing his own book. 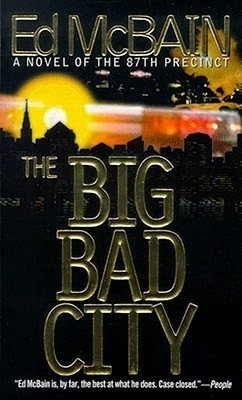 One of the things I found humorous about this book was that I was already familiar with all the police lingo from having read Ed McBain's 87th Precinct novels, which first started coming out in the 1950s, when Frank Serpico first became a cop in New York City (note: the 87the Precinct novels take place in Isola, a fictionalized version of NYC). Writers interested in police procedurals of the the 1960s and early '70s should read this book. 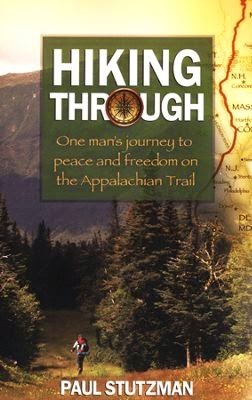 Notes: After reading Bill Bryson's book on the Appalachian Trail, I was looking into related books when I came across this one in which the author recounts taking to the trail after the death of his wife to breast cancer. That obviously hit home for me. Mini review: The most interesting parts of this book were the characters and friendships made along the trail, as well as the author's personal spiritual journey dealing with grief, the loss of his life, and the relationship he found with God. For non-believers who want to read about the AT, this is probably not the best book, but for Christians and those open to such material, this isn't a bad choice. Still, once you've read a book or two and some of the material online, you become familiar with the trail and the places along it (and even some of the people who live near), so there's not much point to read more such books unless one is strictly interested in the emotional and perhaps spiritual journey taken by the author(s). Books read in 2015: No. 3 -- What in the World is Going On? Notes: This is not my typical reading material, but it is the time of year to read books that were holiday gifts. 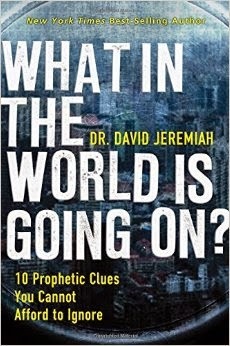 Apparently this is one of those pseudo-political, supposed-prophetic books preaching doom and gloom for the near future. There always seems to be one of these books on the bestseller lists, and this one comes from a few years back. As you might be able to tell from my attitude, I'm highly skeptical, but I'll give the book and the author a chance. Mini review: This ended up not being as bad as I had feared, but still, a good portion of it was typical evangelical material I've read before. The other stuff, however, I found interesting, where the author went into some detail about the Rapture, the Second Coming, etc. I'm not saying the author is right or wrong, or that I believe or don't believe what he wrote, but as a fantasy writer I am intrigued by the similarities and any relationship between Christian eschatology and epic fantasy. Also, I'd like to point out that the author is a decent enough writer, but he is a better speaker (as I found out by looking him up on YouTube). Notes: Continuing my recent outdoorsy reading, I thought I'd check out this freebie I've had on my Kindle for a while now. It's from 1877 and written by a Union officer known for some of his historic writings. 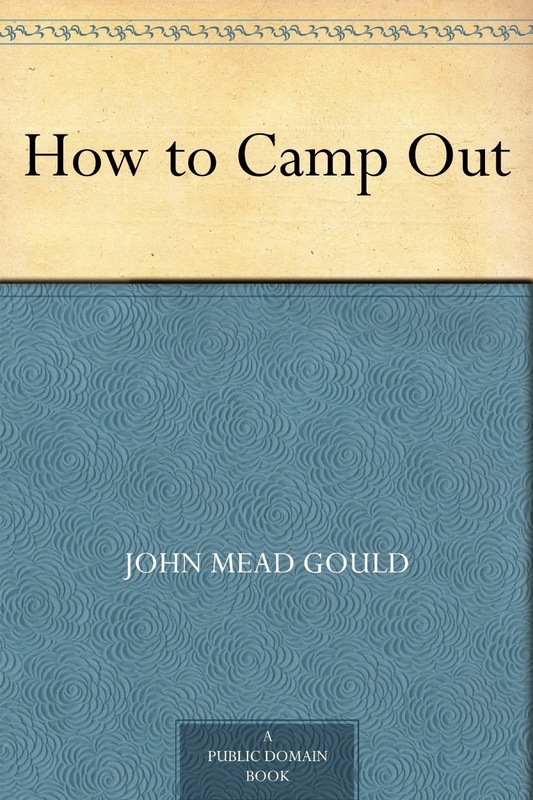 Mini review: This is an excellent book for anyone interested in learning about camping and the outdoors life during the 19th Century. It gets a little bogged down in a chapter about making your own tent, but other than that this was a fun read. Also, I had a chuckle about some of the antiquated advice for medical emergencies, advice I will most definitely not be following. Notes: This non-fiction book is one of a number left to me by my father. It's a look at the history and ecology of the Appalachian Trail, which I've lived around most of my life (and have been on a few times), though to be honest I don't know much about. 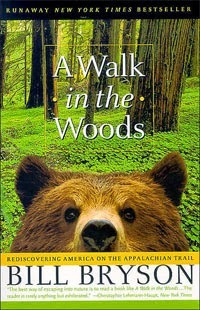 Apparently the author also writes about his trips down the trail and some of the people and animals he ran into. I'm hoping to learn a few things here, but sometimes I also like to jump into reading material foreign to me because such can spur story ideas. Mini review: This was actually a darn fun read. Though not as colloquial, it reminded me of Mark Twain's travelogues with all the historical, geographical and biological nuggets mixed in with tales of normal and odd strangers alike met upon the trail. Yes, it makes me want to take to the Appalachian Trail, all 2,000-plus miles of it, but I doubt I'll ever make it there, or at least not all the way. Notes: As it was almost the end of the year, I was looking for something short to read, not wanting to start a new book just yet. So I turned to this on my Kindle, the very first appearance of Batman way back in 1939. Mini review: The plot and characters are all quite elementary, even for a comic book, but it's still interesting to see the character's beginning. 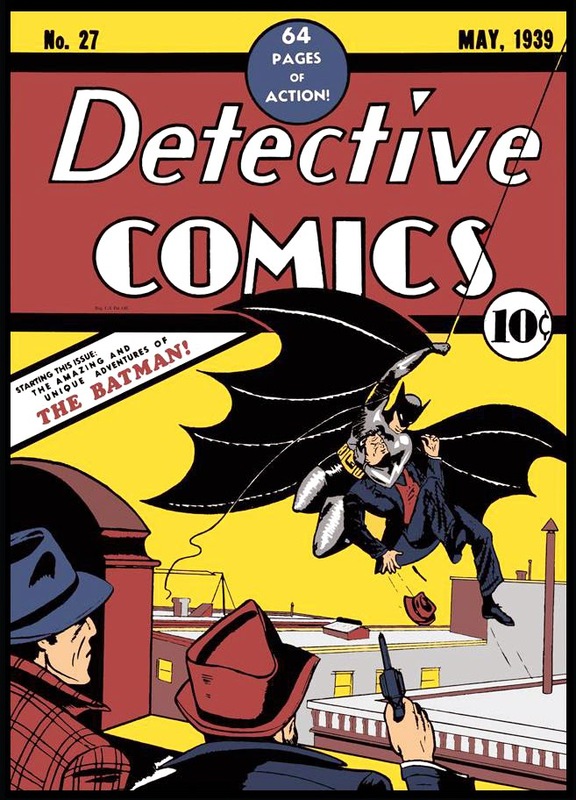 Here Batman got his start hunting down a murderer who was going after individual members of a group of businessmen, chemical company magnates.